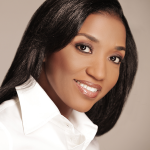 Natisha Dawson is a seasoned executive with more than 15 years of finance and leadership skills. She has served as a Chief Financial Officer, Controller, and Director of Finance for small, mid-sized and large organizations. She has worked in various industries to include health-care, non-profit, public relations, banking, and strategic marketing firms. Natisha has been involved in the integration of mergers and acquisitions; P&L responsibility, expertise in all the functions that make an organization successful: business operations; human resources, strategic planning, reporting and budgeting. She has helped companies improve their profitability, and strengthen their operational and financial performance. Natisha has an MBA from Johns Hopkins University and a BA from Westfield State University.